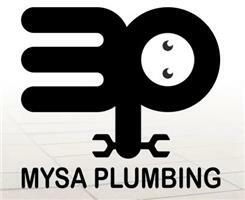 Mysa Plumbing - Bathrooms, Kitchens, Plumber based in Buckfastleigh, Devon. Based in South Devon, Robin Mysa has been providing friendly and reliable plumbing, heating and tiling services for over 12 years. Qualified and professional, whether it’s a new bathroom, complete underfloor heating system, or just a leaky tap, Mysa Plumbing offers experience and knowledge that will take your project right through from design to the finishing touches.